Driven by a desire to change how clients experience separation and divorce, Jennifer founded Fresh Legal in 2015. Jennifer focuses on out of court solutions, including mediation and collaborative law, and she guides her clients through the separation process with kindness, compassion and knowledge. Clients who wish to keep their separation out of court benefit from her broad experience in both litigation and alternative dispute resolution. 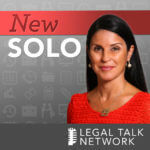 Having worked as a family lawyer for almost a decade, Jennifer recognizes the unique challenges and complex nature of separation and divorce. 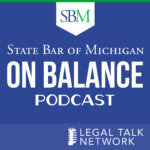 She knows that the law is only one aspect of a separation and works with her network of referral partners to ensure each client’s unique needs are met. Jennifer’s goal is to empower each client throughout the process by listening to their story and educating them about their rights and obligations. From the initial consultation to the final signing, her listening ear and attention to detail ensure each client’s needs are met.